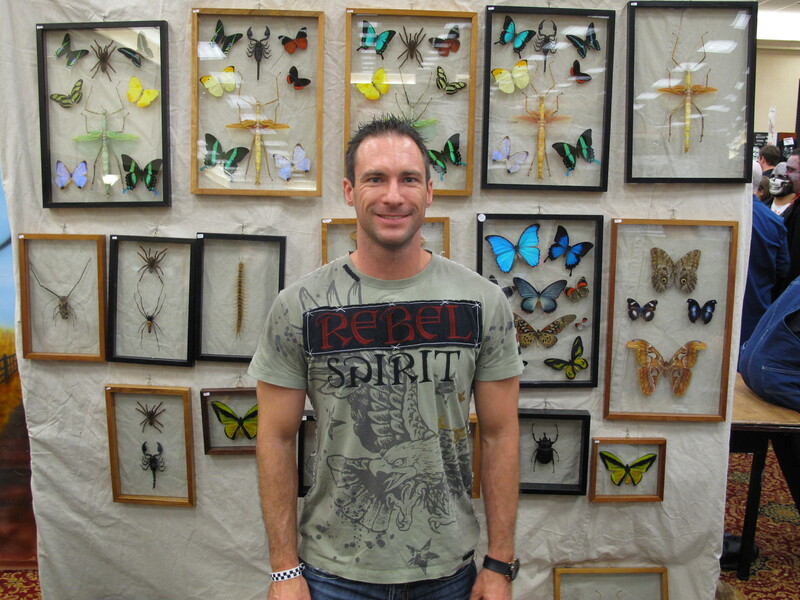 Matt Youngerman: My name is Matt Youngerman, and a lot of people call me “The Bugman.” I sell framed insects and butterflies from all over the world. Taratulas, scorpions, scary stuff that I think goes pretty well with the horror genre. Y Spy: How did you get into that? Youngerman: When I was five years old, the Dayton Museum of Natural History in Dayton, Ohio had a summer program. There were different classes, and one was called Backyard Bugs. Since then I was always one of the kids who would carry a butterfly net around, catching bugs. My degree is in zoology, and in grad school I studied insects. I started my business of selling framed insects about seven years ago. Y Spy: What’s the process involved in gathering and displaying your insects? Youngerman: We travel all over the world and find villagers who raise butterflies and insects on what are called butterfly farms. They ship them to us all dead and dry, legs and wings folded up, and then we have to take each one and rehydrate them. 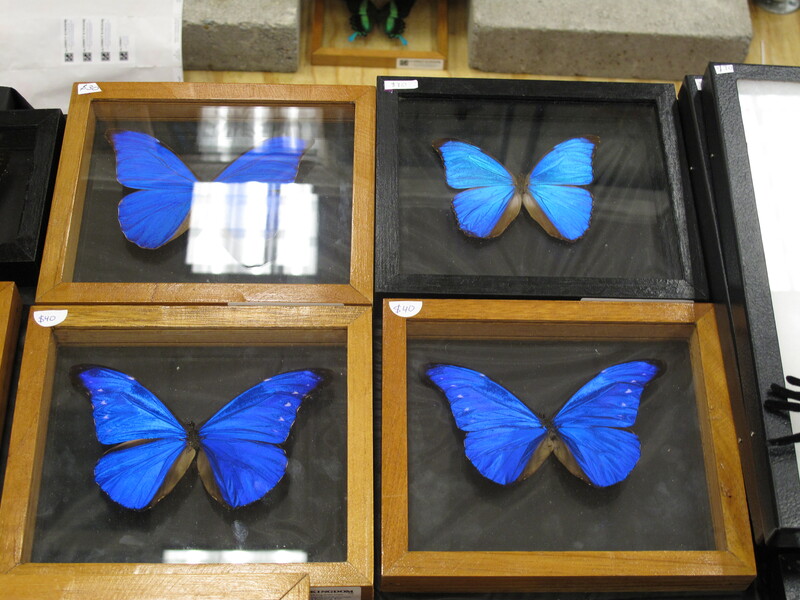 Then I put them on special mounting boards and spreading boards, opening their wings up, opening their legs up. Then I let them dry for another day or so, and then I can put them in the frames. Y Spy: So they’re otherwise as you’d find them in the wild. Youngerman: Right. Because some of the colors are so metallic and so bright, people assume that we paint them or alter them in some way, but everything that we sell is natural colors. In the United States you don’t see insects that have colors like tropical insects do. 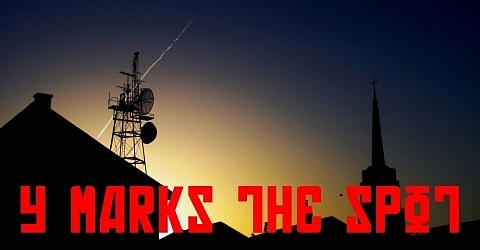 Y Spy: Do you get flak from people who claim that you’re exploiting insects? Youngerman: Not really. Sometimes when they first come, [people] are upset because they think that we went out with bug nets in the rainforest and caught a bunch of insects. But they’re raised on farms, so it’s sustainable, and the primary purpose of butterfly farms is to supply zoos with living butterfly exhibits. My dry insects are what they do with the extra insects that they don’t sell living. Most people understand that, but you always have people who don’t agree with that. That’s fine; as long as I can educate them as much as I can, they can make their own decision. Y Spy: The insects don’t have long lives, so it’s not as though they have to be killed for your exhibits. Youngerman: Right. Most tropical butterflies only live in the wild for three weeks, as a butterfly. Most of their lives are spent as a caterpillar, eating leaves. Butterflies can only mate one time, so really their only purpose once they have wings is to fly around and find a mate. Insects, compared to other animals, have a very short lifespan. Y Spy: How do the tarantulas and scorpions work? Youngerman: That started with people raising them for the pet industry. For the tarantulas, male tarantulas on average only live three years. Female tarantulas live a long time, 20-30 years. I only sell male tarantulas, because the way that the breeders work is that they’re not going to sell or kill their female tarantulas. They let the males and females breed, the males die, and they prepare them and ship them out to me. It’s really the same with scorpions. Y Spy: How does having a pet like that even work? Youngerman: I honestly don’t know, because I’ve never had one. I wouldn’t want it to get out and not be able to find it. A lot of people do, though. I ask them how it is, if they can play with it. A lot of people don’t even play with it. It’s more or less a living piece of artwork that stays in the cage. But that’s okay, because tarantulas and scorpions in the wild never move very far from one spot. They’re perfectly happy in a cage, as long as they get food. In that sense, it’s not as though you’re torturing them. Y Spy: Are they dangerous to own? Youngerman: Some are. A lot of the ones in the pet trade aren’t dangerous, but there are some that you can mail order that you wouldn’t want to get bit by. That’s what freaks a lot of people out – you don’t know. Even if it’s a relatively harmless tarantula or scorpion, you don’t know how you’re going to react to that venom until it bites you. It might not be dangerous to most people, but if you’re allergic to it, what are you gonna do? I’ve never had one, which might sound weird. Maybe it’s because I know enough about them, and I see them all the time in the wild, which is pretty cool. Y Spy: So your sign says that you’re donating some of the proceeds you make at the convention? Youngerman: The countries that have butterfly farms highly regulate them. The farmers have to pay a certain tax to become farmers. Those proceeds go to these countries’ fish and wildlife departments. They use them to buy and maintain parkland, which in return helps protect land for wild butterflies and insects. It’s actually a pretty big business. Whenever I buy insects from another country, I usually have to pay an export tax to that country, and that money is usually used for the same thing. It’s not necessarily an individual charity. Y Spy: What are your environmental beliefs? Youngerman: I’m really big on conservation. That’s why I only work with butterfly farmers. I understand that people are always going to want products like this, but I think it’s really important to find the best way to give people these products without taking them from the wild. I’ve been to over 30 countries, and some of them are in desperate need to protect their land. It’s really sad and bad, and there are so many animals that have been lost forever because they haven’t been protected. Y Spy: So is this all you do? Youngerman: Yeah. I used to have real jobs; I say real jobs because people look at what I do now and say that it’s so cool. I started this seven years ago, part time, and turned it into [what it is now]. 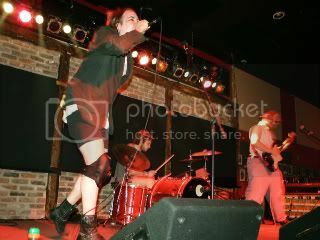 I travel all over the country, go to different shows, I have a storefront in Ohio, sell online. Y Spy: Is it a profitable business? Youngerman: Yeah, it is, and the reason why is because I actually go to the countries and find the farmers. There’s no middleman for me. A lot of people who do this as a hobby buy from people like me, and it’s not as profitable. Y Spy: And you’re offering a physical art form that can’t be duplicated. Youngerman: Every butterfly is different and unique, even if it’s the same species. There are so many different insects and butterflies that you could collect for years and come nowhere close to having everything. It’s a very unique product, and if done right, it’s a good business. Matt Youngerman can be found at www.theinsectkingdom.com.